Brien Thorstenberg with the Tulsa Regional Chamber said the primary benefit will be attracting and retaining talent. "When you think of where really the big population hubs are and where the really big businesses are, it’s where people think it’s cool to live there, whether it be Austin or New York City or other areas. And we’re all competing from that standpoint," Thorstenberg said. Thorstenberg said on a tour of the park during a recent site visit, one executive told chamber staff Tulsa had reinvented itself. Suzanne Schreiber with Tulsa Community Foundation agreed with Thorstenberg's assessment that the park's main benefit will be helping to attract and retain talented workers. "We want to have our kids come back or stay here, but we also know that we need a new influx of people and we want it to be a place where people can come," Schreiber said. 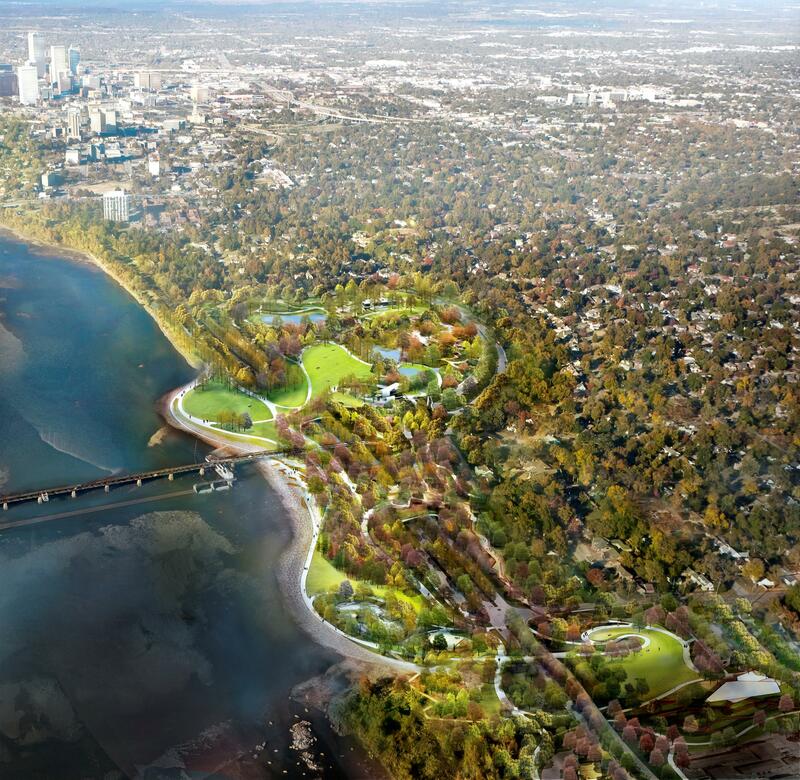 Schreiber said A Gathering Place fits into development plans over the past several years to add attractions to Tulsa and connect them to each other. An opening date for the park has not been announced.